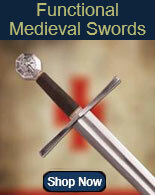 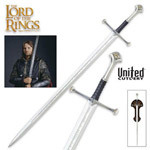 Movie Swords and officially licensed replicas are offered for sale from some of Hollywood’s greatest films and television masterpieces. 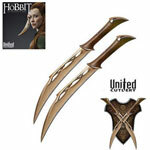 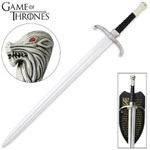 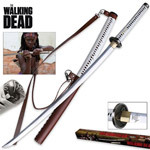 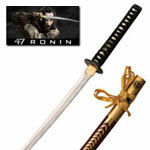 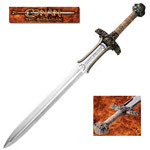 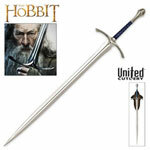 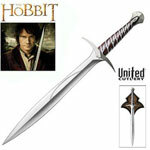 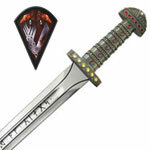 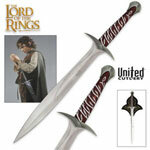 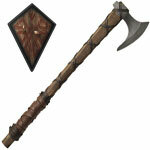 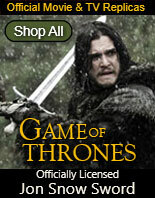 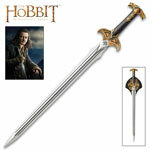 Swords Direct is pleased to present officially licensed movie swords, daggers and collectibles from movies such as the Lord of the Rings and the Hobbit Movies, 300, Conan, The Walking Dead, Game of Thrones and more. 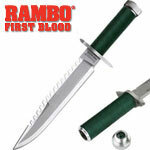 Buy the officially licensed premium edition Rambo Knives and The Expendables Knives while they last. 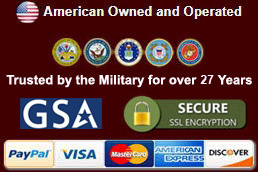 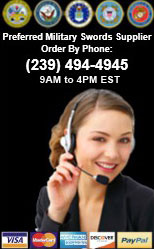 All major credit cards are accepted plus PayPal with low flat rate shipping. 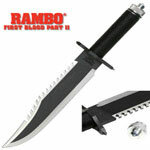 These popular movie inspired knife replicas are full size reproductions of the knife seen in popular 1980's slasher movies. 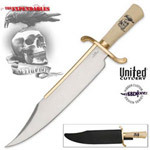 This knife measures 13 ¼ inches in all and has a heavy 7 ½ inches, 440 stainless steel blade. 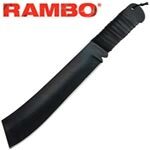 The thick full tang sharpened blade is 8 millimeters thick. 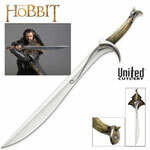 The full tang handle is 5 ¾ inches and is also made of 440 stainless steel. 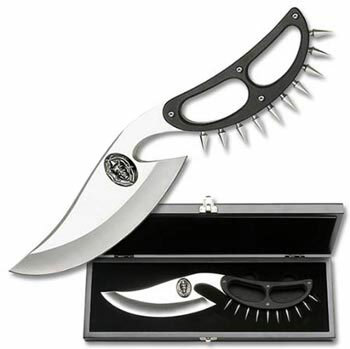 These movie knives have a G-10 hand guard handle that features ten solid spikes and is 19mm thick. 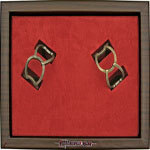 They are packed in a solid black wood display case. 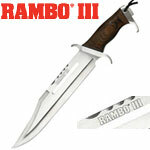 Buy this full sized premium knife replica for $149.99. 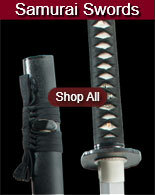 Made by Master Cutlery. 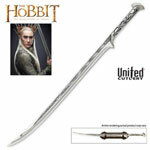 This item cannot ship to California.